A new critical edition of 7th (13th) century sufi ‘Afīf al-dīn al-Tilimsānī’s tafsīr al-ish‘arī (esoteric qur’anic exegesis based on spiritual indications) Sharḥ al-Fātiḥa wa baghḍ surat al-Baqara (Commentary of chapter al-Fātiḥa and part of chapter al-Baqara) has been published by ISAM. The book critically edited by Dr. Orkhan Musakhanov has been publish within the project of Late Classical Period. As his Ma‘āni al-asmā al-ilāhiyya (The Meanings of the Divine Names), al-Tilimsānī’s ish’arī exegesis Sharḥ al-Fātiḥa wa baghḍ surat al-Baqara is his another important work in which he presents his views in detail. In this book, the author explains how all ninety-nine divine names of God goes back to His name al-Hādī as part of the commentary of the verse “ihdinā al-ṣirāṭ al-mustaqīm” (al-Fātiḥa, 1: 6). From this perspective, Sharḥ al-Fātiḥa wa baghḍ surat al-Baqara, in a way, consists of another Ma‘āni al-asmā al-ilāhiyya. 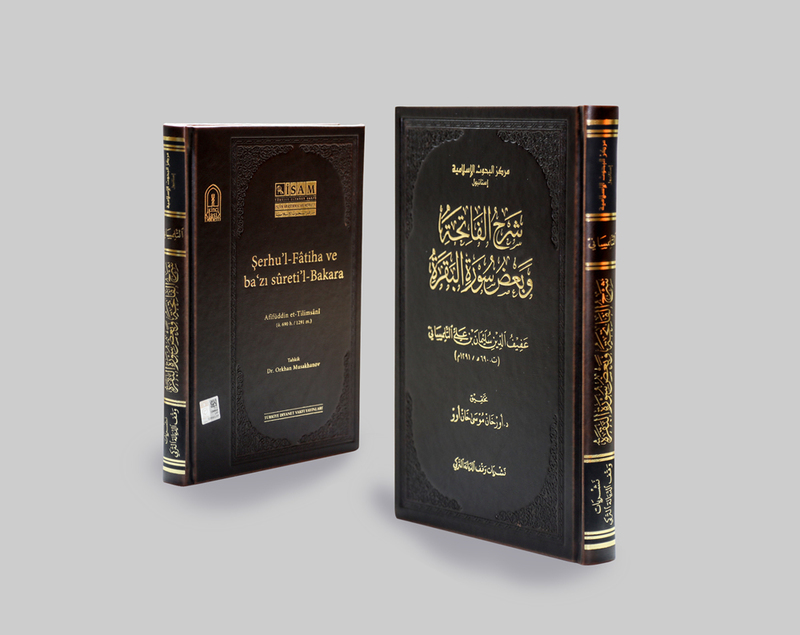 The book is prominent by its unique interpretations on divine names, tafsīr al-ish‘arī, and waḥdat al-wujūd, and it can become an important reference for the researches on the aforementioned subjects. The book that has been unknown to exist before has been published by critically editing the author’s copy.